Buy From My Shelf to Yours a Coffee. ko-fi.com/frommyshelftoyourshelf - Ko-fi ❤️ Where creators get paid by fans, with a 'Buy Me a Coffee' button. 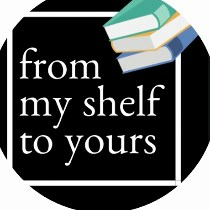 From My Shelf to Yours is a book blog run by an college student (ya girl herself) focused on the importance of children’s literature. Hello lovelies! Welcome to my ko-fi page. Isn’t it a charming metaphor? If you want to ‘buy me a coffee,’ it’ll go to help support my blog (I’d love to upgrade my blog plan!) and then will go towards my college fundings. Thanks for the love! Secured Payments. Support goes to From My Shelf to Yours's account. New Blog Plan for 2019! Upgrade From My Shelf to Yours to a yearly Gold Membership with a one-time payment.